Developing custom equity portfolios for unique clients and their families. The focus of the Albach, Wells & Dauer Group at Morgan Stanley is on serving the needs of high-net worth clients through research, development and the application of risk-management strategies designed to fit the unique financial needs of individuals and families. Their emphasis has always been to personally manage portfolios of individual equity securities for their clients. Born from experience, they have maintained the belief that a disciplined approach to managing an equity portfolio will most likely outperform the broad market and therefore most mutual funds and third party managers over the long term. Simply put, the key is to remain disciplined in all markets- bull and bear- allowing the team to bring the most value to the management of their clients’ equity portfolios. Together they work diligently as a team to provide the best client service experience possible to all of their clients. The Albach, Wells & Dauer Group brings a highly disciplined strategy to the management of their clients’ ultimate goals rather than allowing the short-term noise in the marketplace to induce emotional decisions. With nearly 75 years of combined industry experience, what sets us apart is our team of seasoned professionals. We are committed to helping you grow and preserve your assets. Our goal is for you to spend less time worrying about your finances and more time focusing on the aspects of your life that bring you joy, meaning and purpose. -Manage a major life transition with confidence, such as the sale of a business, the generational transition of assets, the receipt of a lump sum distribution, divorce or the loss of a loved one. 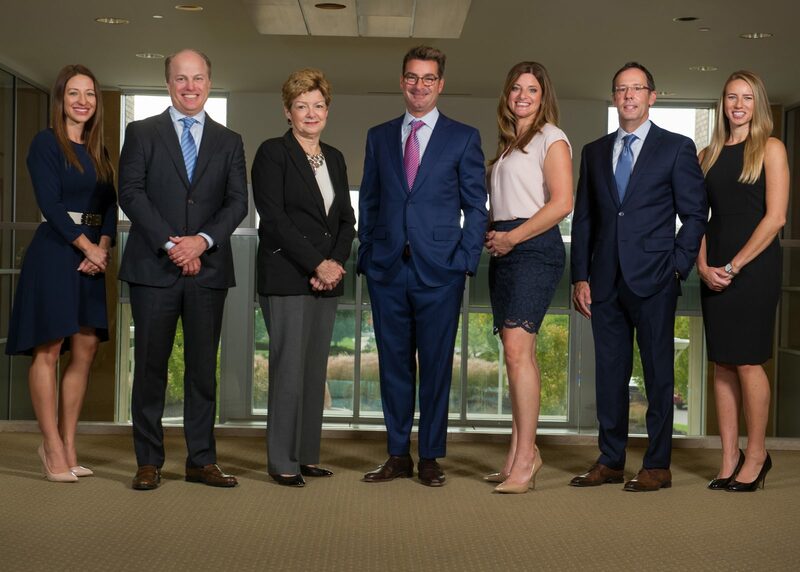 At the Albach, Wells & Dauer Group, we are devoted to earning your trust every day through ready access and open conversations. We believe you will recognize us as an important part of your financial journey and a key aspect in securing your family’s financial success with confidence for generations to come. Our clients are much more than a portfolio of assets - they are families with active lives, who seek a team of advisors who will provide them with thorough, unbiased and carefully considered guidance on a full range of financial needs. When you work with us, you will be treated with respect, care, confidentiality and an unwavering commitment to you and your family. We begin with an in-depth conversation to understand your goals and the goals of your family, the concerns you have and what you ultimately would like to achieve. We review your current and future financial situation, identify the likelihood of reaching your goals, and address any potential shortfalls or the impact of unexpected life events. Here, we’ll prepare a comprehensive wealth management plan that addresses your individual income and cash flow needs, investment objectives and guidelines, and risk/return parameters. We help you with organizing and accessing the information about your accounts and answering any questions you have. Getting acquainted with our technology services is a key element of this meeting. Portfolio review meetings are a key part to understanding and achieving your financial goals. They are scheduled at convenient intervals for you, and provide us an opportunity to review any major changes in your personal or financial situation and make adjustments. We also review your overall progress toward your long term goals. 2009 Top Ohio Advisor, Barron's Top 1000 FA's, "Top 40 Under 40" in On Wall Street in 2007. 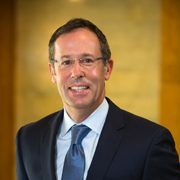 A veteran of the financial services industry, Brian is a founding member of the Albach, Wells and Dauer Group at Morgan Stanley. His focus on the team is portfolio management. In particular, Brian navigates the equity markets to construct and manage equity portfolios for clients to seek returns that are greater than the broad market may provide with less risk. 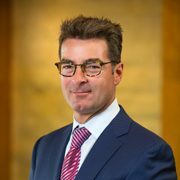 Brian began his career in 1990 after graduating from Miami University with dual degrees in Finance and Decision Sciences. Brian has received many honorable distinctions in the Wealth Management Industry, including, top 20th advisor in Ohio in 2008(1) as selected by Barron's, a member of the, “Top 40 Under 40” on Wall Street in 2007(2), and was named to Forbes Magazine’s inaugural list of America’s Best-in-State Wealth Advisors. Originally from the Cincinnati area, Brian currently resides in Mt. Lookout. When Brian is not serving his clients he enjoys spending time with his wife and four kids, traveling, reading, and playing a round of golf. 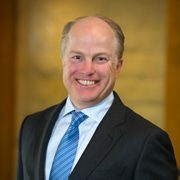 With over 25 years in the financial service industry, Greg is responsible for designing and implementing tailored retirement plans for our high net-worth clients and corporations. His strategies aim to help you and your employees meet and exceed your retirement aspirations by providing you with a knowledgeable investment perspective in wealth management. Greg launched his financial career in 1990 after graduating from the University of Kentucky with a Bachelor’s Degree in Finance. Greg moved from Lexington, KY to Cincinnati in 1990 and currently lives in Mariemont. He enjoys spending time with his wife, Lila, and their three boys participating in various outdoor activities such as golf, fishing and skiing. He also enjoys a good book in his personal time. Steve began his career in the financial service industry in 2001 after a career in the insurance industry. His extensive experience in financial planning - retirement, estate, education and asset allocation - provides a comprehensive foundation from which their team can formulate an investment plan to help manage risk and ultimately maximize your investment. Besides dual degrees in History and Communications from Wake Forest University, Steve also has earned the designations of being a CERTIFIED FINANCIAL PLANNER™ practitioner, (CFP®) Chartered Financial Consultant®, (ChFC®), Chartered Life Underwriter® (CLU®) and Chartered Property Casualty Underwriter (CPCU®). Originally from Boston, MA, Steve currently resides in Ft. Thomas, KY with his wife, Mari and their four children. Steve enjoys reading, golfing, and spending time with his family. 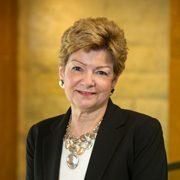 Kathy joined the Albach, Wells and Dauer Group in April of 1998 after an eleven year career in the banking industry. Kathy holds the FINRA Series 7 and 66 licenses; she focuses on trade execution and assisting the team with their portfolio management services. She also helps the team provide clients with access to the firms banking and lending services. Her patience and wisdom bring healthy perspective to a business environment that is constantly subject to the ebbs and flows of market conditions. 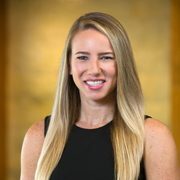 In April 2011, Lauren joined the Albach, Wells and Dauer Group after working for several years at Raymond James. A graduate from Northern Kentucky University, Lauren earned a Bachelors Degree in Finance and Masters Degree in Accounting. Lauren holds the FINRA Series 7 and 66 licenses as well as the KY Life and Health Insurance Licenses. 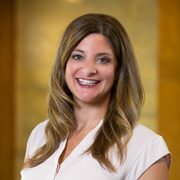 Lauren focuses on the administrative aspects of financial and retirement planning, portfolio management services, tax reporting, annuities, insurance and trade execution. Her strengths across various platforms coupled with industry experience are valuable assets to our team. 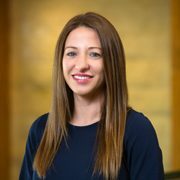 Kassie joined the Albach, Wells and Dauer Group in August 2011 after working with Mass Mutual Financial Services. Kassie focuses on client relationship management as well as a myriad of account and service maintenance requests including building relationships with many Shareholder Services departments to facilitate stock option transfers. Kassie holds the FINRA Series 7 and 66 licenses as well as the OH Life Insurance License. April joined the Albach, Wells and Dauer Group in February 2013. A graduate from the University of Kentucky, April earned dual degrees in Marketing and Merchandising. She went on to complete an accelerated management training program with Nordstrom before making a career change to the finance industry. April holds the FINRA Series 7 and 66 licenses. She focuses on marketing and advertising, event planning, sponsorships and social media for the team. Ready to start a conversation? Contact The Albach, Wells & Dauer Group today.